The team at Phones Review is bringing you all the info from the Apple event, and we’re seeing news flooding in that should please many readers. We now have a price for the iPhone 5S, Apple’s premium iPhone offering, which now been introduced and will release on September 20 only 10 days away. We’ll be bringing you more on specs as we hear it, but for now we want to give you the important release news. The base price of the iPhone 5S is $199.99 on the usual two-year contract, the same as the current iPhone 5 when it launched as we previously anticipated. There were many rumors that the iPhone 5S would be available in a gold color option and this has turned out to be accurate. It will also come in black or silver varieties. The handset has chamfered edges and is constructed using high-grade aluminum. A 64-bit A7 processor has also been confirmed with Apple saying this brings speeds twice as fast. Another inclusion is OpenGL ES 3.0, and fortunately previous 32-bit apps will still be compatible. There will no pre-orders for the iPhone 5S, instead you can just order one online in the usual way come release day. Shipping begins on September 20 or you can take a chance on finding one at an Apple store on the day. We’ll have more on iPhone 5S information soon so do check back with us from time to time. You may also like to read our posts regarding the release date for iOS 7 and news on the iPhone 5C. 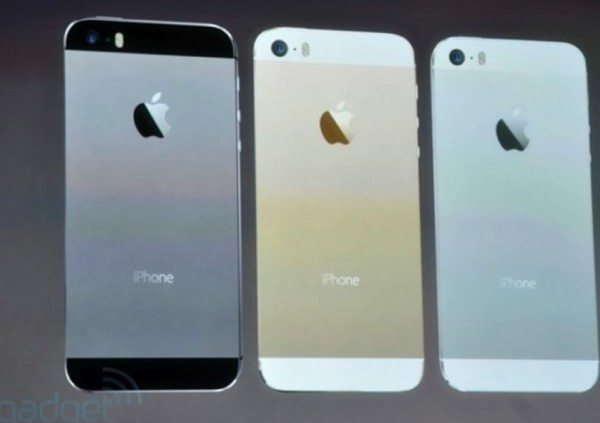 Have you been avidly waiting for the launch of the iPhone 5S? Maybe you’ll be one of the first in line on release day? Let us know what you think of this initial iPhone 5S news by sending us your comments.